In this edition, under the bed in the guest room of our rental house here in Arizona. 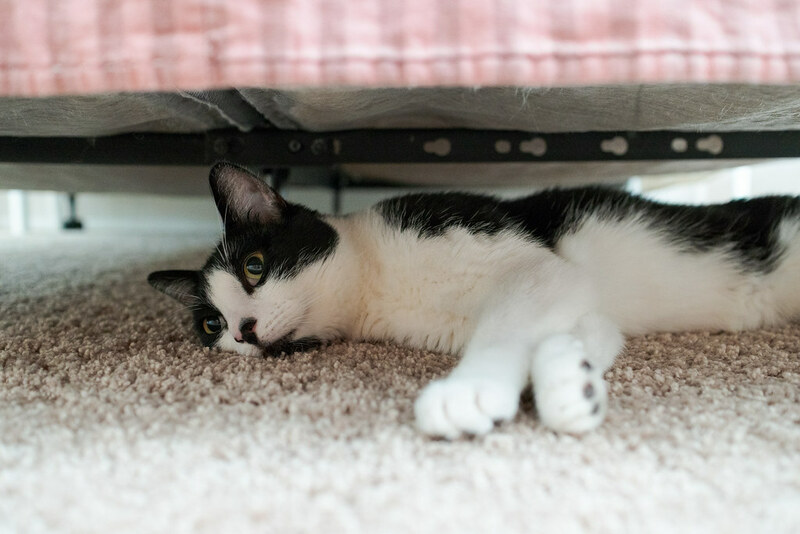 This entry was posted in Pets and tagged bed, black-and-white cat, Boo, carpet, cat, resting. Bookmark the permalink.